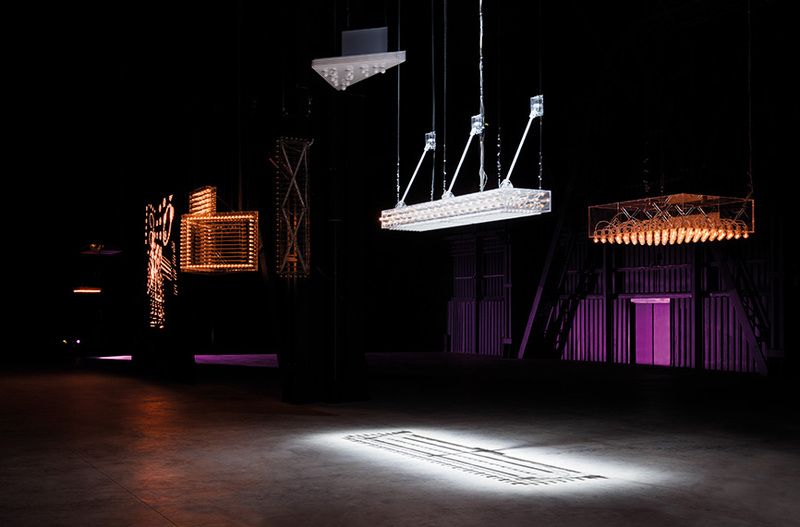 Past, present and other planes, Parreno anticipates his new show in Berlin. 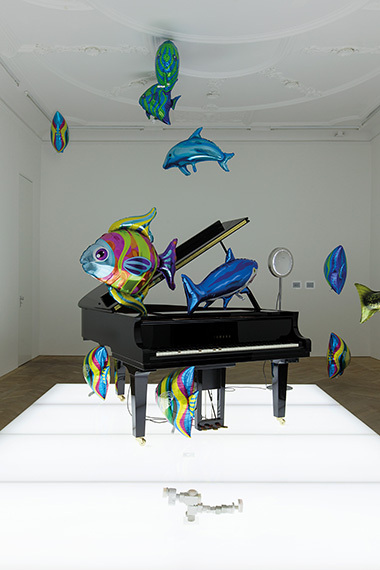 Philippe Parreno’s new exhibition runs from 25th May to 5th August at Berlin’s Martin-Gropius-Bau, presented by Berliner Festspiele as part of the programme series Immersion. But here’s the thing: it’s already happened – or rather a version of it has, in another realm. And if they’re not twins, they’ll be siblings. Or distant cousins… Certainly accelerated antecedents. Harnessing the power of a Virtual Reality programme – and the ritualistic planning of a spatial architect – the French artist conceives his shows as their own entire being. When it comes to placing works, they can be re-versions of existing preoccupations, in alternate guises. His waterlilies, cuttlefish and microorganisms are in permanent evolution. The long game. Just like living. 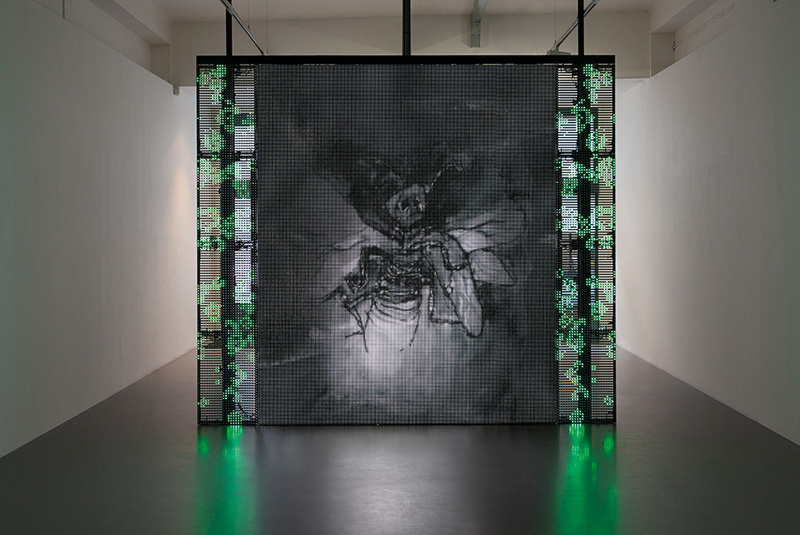 Fireflies, a longtime fascination of Parreno’s, return with the lightning bugs flashing on an LED screen, their lifespan decided by complex algorithms. 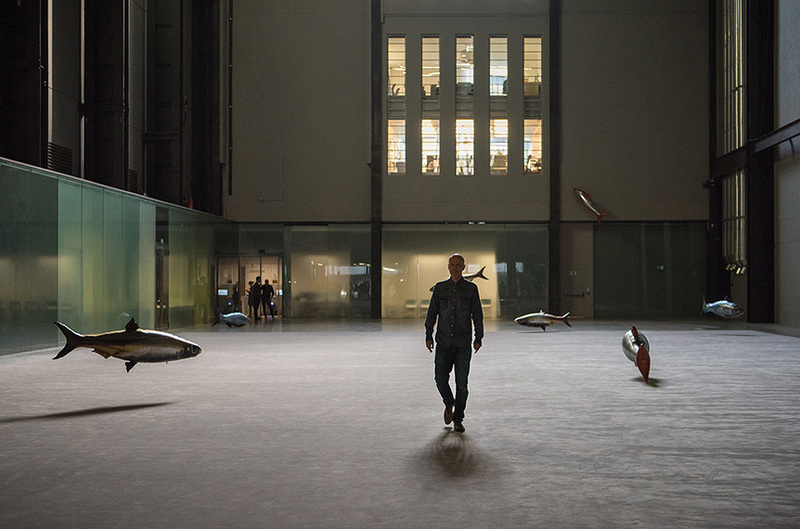 Though very much its creator, Parreno ultimately stands parallel to his show as it begins to breathe, becoming independent with its own series of rhythms, cycles and ecology. From mental landscapes and paranoiac logic to memory and collective intelligence, imperceptible processes, unknown authority and the imagination, Parreno offers plenty to experience – whatever reality you find yourself in. 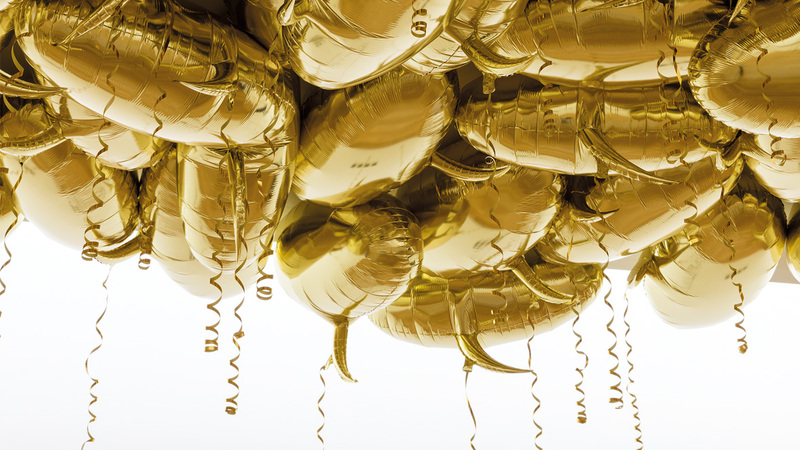 Hans Ulrich Obrist: There could not be a more wonderful occasion than to interview Philippe. This is our 31st interview, the first one happened in ’99 at the Café de Flore. Remember when we did [the exhibition] ‘Alien Seasons’? ‘Alien Seasons’ is really the beginning of this extraordinary evolution of shows as a Gesamtkunstwerk; which leads us all the way to the Martin-Gropius-Bau in Berlin. So I wanted to begin actually by asking you to tell us a little bit about your memories of ‘Alien Seasons’. Also about the collaboration with Jaron Lanier and how you brought in virtual reality? 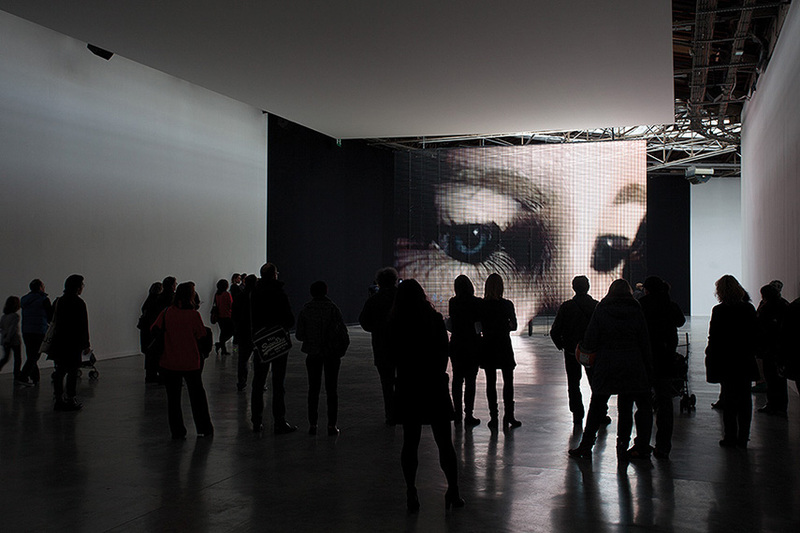 Philippe Parreno: Wow, that’s 20 years ago nearly? I’m shocked. ‘Alien Seasons’ was supposed to be a survey show and turned into being something in itself – a series of programmed events. I wanted to find a precise programme, a logic to chain those events together. I thought it would be fantastic to bring Jaron to programme the show. And Jaron came and he didn’t programme anything, but we had a conversation, right? Three days of conversation. It was fantastic. HUO: He drew a fish. He made a drawing of a fish. PP: We talked about cephalopods for the first time. The title came from him – ‘Alien Seasons’. HUO: There was also an unrealised part of it with Rem Koolhaas – which we still have to realise one day – but initially you wanted the show to be a pop-up book? PP: Yes, there was that. I wanted to make a catalogue that would pop-up and become the space in itself. A topological space. So there were a couple of strange ideas like that. What we did bring together at that time was the beginning of a certain motif or anaphora that I would keep on using – the exhibition – as a hyperobject; as an assemblage… A conglomerate of things that come together to form something else. HUO: You always said, la chaîne est belle. It’s a beautiful chain reaction. One thing which is interesting in terms of the animistic aspect, particularly in the more recent iterations, if we think about China; I saw the show at the Rockbund Museum; if we think about Mexico, ‘La levadura y el anfitrión / The Yeast and the Host’ – in both of these cases, you went a step further in that direction because you created this dialogue between a microorganism and a human person. And basically the timeline of the show runs – the order and appearance of the events – not through a machine, but through something live; through a bioreactor and a host. Can you talk about that, because it seems as if something new has entered this game in the last two years? PP: Something that appeared with [John] Cage, and in this generation, is the idea that things can appear and disappear but without having a… There’s a cycle, but the cycle is not periodistic – there’s no periodicity. So it repeats itself, but each time it repeats itself and reappears it’s slightly different. And Cage had that with chance operations, and in the case of the bioreactor; it’s another sort of chance process. It reappears or disappears according to the mistakes, so to speak, that the bioreactor produces, and then by that it’s a non-periodic cycle. So, before it was on-and-off and I was the one to determine that moment – when ‘on’ will go, and when ‘off’ will go. Now it is much more alive, so to speak. We could say that from 20 years ago to now, that thing, whatever it is, starts to become more and more independent. HUO: And it’s interesting because at the Serpentine Marathon earlier this year, the theme was ‘The Guest, the Ghost, the Host’ – a very Duchampian thing. And then of course it’s totally your topic, because in ‘The Yeast and the Host’, the host was an actor who played the piano and changed the sequence of events, took care of the yeast and received information from the yeast, which is then analysed by a computer. And you had this great conversation in City Hall, in the City of London, with a scholar during the ‘Guest, Ghost, Host: Machine!’ festival of ideas. I wanted to ask you about that. Who is the ghost, who is the guest, who is the host? And how is that going to work in Berlin – who is going to be the ghost in Berlin, who is the guest in Berlin, and who is the host in Berlin? PP: Yeah, I always like that equation of Duchamp – ‘A guest + A Host produces = A ghost’ – I kind of like to see it as an equation where you need to have both terms (a guest and a host) in order to produce a form. The ghost being a form. So in that case, in Berlin, I’m a guest; invited to produce something: ‘Nothing will have taken place but the place,’ said Mallarmé. I am not totally in control of this. I know the bioreactor will be there, and will alternate the cycles. I am looking for a logic. HUO: It’s under construction in a very fascinating way, and that actually leads us to the beginning of this whole series of shows with Jaron Lanier, because of course Jaron invented Virtual Reality. And when we were in this studio the other day, it’s as if I had already visited the Berlin exhibition because you now have this extraordinary virtual 3D simulation. It’s a new process to do a show like that. PP: Yeah, when I started to do the Palais de Tokyo show, which was only four years ago, I had the tools given to me by architecture – where you can place an object within a space; a 3D space, or virtual space. And now, using a VR programme, I can play with space and time. It’s a way to imagine a sort of dramaturgy throughout time and space. Imagine is the key word. It’s a nice tool to think about stuff. Quite virtual indeed, I can see things that will never exist. Jaron’s idea was much more an idea that you would enter into a world, but there would be no programme. It will be like when you play an instrument you know, the more you will be immersed within the world, the better you would be at it. He thought about the VR world being like an instrument, that you would be able to play, rather than to be dominated by a written script. And in my case, using it now just as a tool in order to understand what the exhibition could be. It put things (possibilities) at a distance. Strangely enough, the more immersed you are within that forecast, the more distant the exhibition becomes. So it’s a way to put it a bit further away from me. I now see the show from a different perspective, as somebody else other than me. HUO: And can you tell us about the ingredients of the Berlin show? Because I navigated through the show in the Gropius-Bau, and when one enters… I mean you’ve now developed this language of all of these elements, and they’re kind of being combined and re-combined. But it seems one of the most exciting incarnations so far, or coming together, of all of these different elements; because there’s going to be a fountain when you enter. Can you talk us a little bit through the journey of what’s going to happen? PP: You have this pond that reflects the skylight of the Lichthof. And the pond is an iteration of what I did at Beyeler. And by the pond you have the firefly animation film; the animation that works as a cellular automaton. HUO: And before we move on, the pond is of course standing water, almost a small lake, at the entrance. But it’s actually not standing because there are these concentric circles. PP: Yes, I called them Water Lilies, Sonic Water Lilies. The ripples are produced by sound, broadcasted by seismometers installed in the building – those patterns will be produced by the architecture. The lighting system of the space will be operated. We sort of have the beginning of a landscape. HUO: You mentioned the fireflies; they’re a living creature, an automaton. But you also did hundreds of extraordinary drawings over several years, of monochromatic white, black and mirroring fireflies. I should say we’re working on a book together with HENI Publishing, about the life and death of fireflies. What makes the exhibition in Berlin different from the series so far – from Jumex and from Tate, and from Hangar Bicocca – is that there’s going to be this display of drawings, which are like a réseau because they belong to so many people – you gave them away. And you described them as angels and demons. I wanted to ask you about these angels and demons. PP: I drew them in a period of two or three years and I started to give them away, so they spread. Then later, looking at the scans, scrolling down the folder I was looking at the movements the series produced like a flip book. But I didn’t want to animate it myself, like how you make a cartoon, and so in parallel, I used The Game of Life as a kind of protocol. I thought it would be interesting to use both – typically, in cinema, you have the film, and next to it you have the magnetic track – the algorithm will pick up one drawing, and chain it to another one, and start to produce a sort of danse macabre, where fireflies start to live and then die, because that’s what the game of life is all about – it’s the production of life. HUO: The first time the fireflies popped up was actually almost 30 years earlier, as a completely invisible piece in the bushes of Villa Arson, in a show called ‘No Man’s Time’. PP: Yeah. It was a piece named after the text of Pasolini, ‘L’article des lucioles’ – the article of fireflies – where he described the change in the politics of the north of the world, where people start to lose faith in ideologies, noticing that at the same time fireflies started to disappear. So he linked ideologies to the presence – or the lack of presence – of fireflies. What I did at the Villa Arson was produce fake colonies of fireflies by chaining some LED lights in a bush. And this piece was only visible at night. And because it was a summer show, the work was only visible late at in the evening, way after closing time, so the work was visible when there was no visitors. So that the fireflies as an anaphor started like that, now it takes the form of an automaton. HUO: It’s interesting because normally we would talk about the Gropius-Bau show without me knowing anything at all about it, but as I’ve made a VR experience, I really feel I know a lot about this show. It’s a very different interview than we would normally have before a show, because it’s all there. The thing that also struck me is that once you pass the drawings, and you pass the pond, you then enter lots of different games of light. The blinds of course connect the inside and the outside but I wanted to ask you a little bit about how you’re going to work with them. Because it’s different from previous exhibitions; there are very full spaces, there are also empty spaces – it’s almost like le vide et le plein. PP: The forgotten philosopher Etienne Souriau who Bruno Latour and Isabelle Stengers re-introduced recently, defended the thesis of an existential pluralism. A large polyphonism of existences saying that there are indeed different manners of existing, different degrees or intensities of existence: from the virtual, the imaginary to the super-real. HUO: One thing which I think is interesting is that there is a much more reduced presence of film in the Berlin show compared, for example, to Hangar Bicocca or at the Armory, where film was very much at the centre. I saw an extraordinary piece I want to hear about, it kind of goes from micro to macro and it’s all about cuttlefish. PP: Anywhen is the new version of the film that was presented at the Tate. A ventriloquist does a voiceover without opening her mouth, so the voiceover is really strange. And she speaks over a series of pictures of a cuttlefish filmed in the studio, and the yeast that is operating the show. So it’s sort of a film about this world, a non-human world. The film was entirely shot in the studio. It’s one of the first times where the studio becomes a place of production – I mean that’s what an artist’s studio should be. But it was new to me. HUO: Some of your recent shows have had an element of outside on the inside and inside on the outside. In Venice you had the Cloud Oktas, and in an interview with The Brooklyn Rail you talked about this being inspired by Max Neuhaus, who of course did Cloud Oktas. When we met for the first time in the ’90s, you actually mentioned to me that in the ’80s you were an assistant to Max Neuhaus. HUO: And now we have the hyperobjects of Timothy Morton. The way you conceive an exhibition is almost like a hyperobject. So I was kind of wondering if you could talk a little bit about that? It’s a long question, but it’s many questions in one. PP: It’s interesting to think about this question over time, since we had the first conversation all those years ago. I have talked about this idea of virtuality before. There was the time when I didn’t need to make things real. I remember because I had an argument with Daniel Buren about this. The collaboration was a way for me, through a conversation, to make things real. If I was not there the narratee was still able to ‘see’ what was discussed. Enough for it to be real. I was struggling with this idea that the art object was autonomous; I realised that people would spend much more time looking at a painting when the label was long, rather than when the label was short. And I think I’m interested by those contingencies, that the fictional can produce the real. So the work in Venice – the Cloud Oktas – when the movement of clouds affect the lighting system of a gallery space, this is something that is at the same time a fiction – and a reality. It’s a mix between both. You go back to this idea of the stochastic aspect of an artwork, that things exist and don’t exist at the same time. You need a guest and a host to produce a ghost. HUO: Let’s connect more to hyperobjects again, because in ecological thought Morton employed the term hyperobjects to describe objects that are so massively distributed in time and space, as to transcend spatiotemporal specificity – examples would be global warming, or Styrofoam or radioactive plutonium. He enumerates five characteristics of hyperobjects: one is viscous – viscous means that they adhere to any other objects they touch, no matter how hard an object tries to resist. So it’s a kind of overall ironic distance; and the more one resists it, the more gluey it becomes. The second is molten; that they are so massive that they refute the idea that space-time is fixed, concrete and consistent. Non-local; they are massively distributed in time and space to the extent that their totality cannot be realised in any particular local manifestation. Phased; they occupy a higher dimension of space than other entities can normally perceive. And interobjective; they are formed by relations. That’s definitely true for your show – they’re formed by relations between more than one object. So consequently objects are only able to be perceived through the imprint or footprint of a hyperobject upon other objects revealed as information. I was wondering, are your exhibitions hyperobjects? PP: You can say either that or the opposite – a quasi-object, it’s the same thing. But I think there’s something about this idea that Tim Morton talked about, that he calls the X-Existences, the Spectral, a human being is not only defined by the contour of your flesh and your body, a human body is a spectral body; it glows and it radiates. As he put it: ‘To exist is to X-exist.’ And by doing that, it also communicates without language, with all sorts of other beings. So this idea of the spectral world may be a good way to address this idea of, as you say, a hyperobject. One of these definitions might be that by definition a hyperobject is a spectral object. Unlineated, unlike cartoon characters, they have no contours. HUO: Now that you have realised all of these amazing exhibitions – la chaîne est belle, the chain reaction of all these shows – do you have any unrealised exhibitions? Utopia exhibitions? Dreams? PP: Yeah, I think now the dream will be to have something that starts to engage with another temporality. 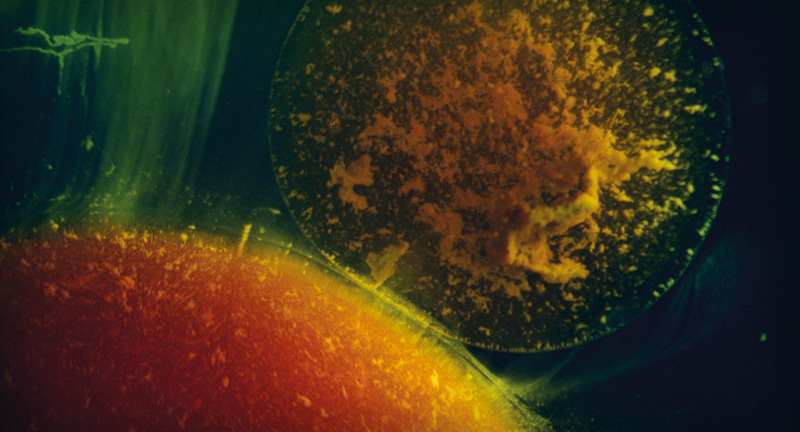 Whether because it sediments – so one thing I can produce gets affected by something else that comes after. But I think this idea that we are engaged within – which is also true maybe for your practice, Hans – is that we’re still focused on a 19th-century idea of the exhibition, which is event-based. I would like to imagine something. I’m thinking about what we did in Arles, when we did the show ‘To The Moon Via The Beach’. When there is no clear beginning and no clear ending. HUO: That’s so exciting. And what are you reading right now? Because last time you mentioned Jeff VanderMeer. PP: What’s on my table right now is a book by Simon During called, ‘Modern Enchantments’, which is quite fascinating. And I’m reading the ‘Théorie du nuage’ by Hubert Damisch – your friend Hubert Damisch. HUO: We should dedicate this interview to the memory of Hubert Damisch. PP: Yes, absolutely – to the cloud theory of Hubert Damisch.